Cool? Yes. I could send this digitally as a jpeg to all my relatives and also am using it as a picture on our Facebook Fan Page. Such a cool way to get a great event started! A pretty GREEN way to go! I had fun using the Sweet Pea Download and Garden Whimsy stamp set. 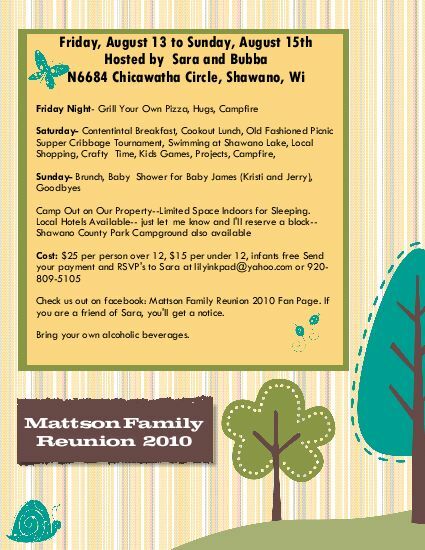 I also played with the Texture Stamp Set to make the Mattson Family Reunion Sign. So much fun! Use My Digital Studio as a design tool--create projects digitally before crafting it in paper, or create flyers to print or e-mail. Check it out: There are new downloads available from the Occasions Mini Catalog- These products never retire in the digital world! Let me know if you are interested in seeing this product in action or ordering! It is AWESOME! Thank you for sharing. Good flyer, I'll buy a few pieces. To me, they come in handy. 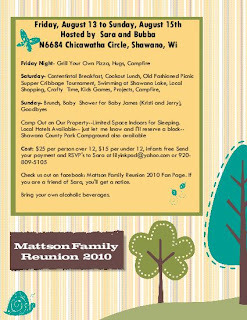 I can recommend another good flyers http://www.poweredtemplate.com/brochure-templates/flyers/index.html. Sometimes I like to take ideas from there for good flyers, and then do it yourself.